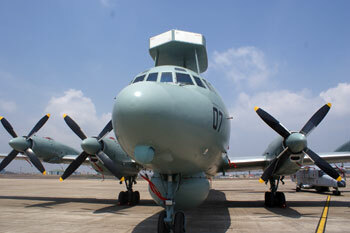 The Indian Navy intends to procure 1,000 Passive Directional Sonobuoy systems to hunt submarines for its Il-38SD maritime surveillance and anti-submarine warfare aircraft fleet. The sonobuoys are primarily intended as an aid for search, surveillance and localisation of submarines using the sonobuoy receiver system already integrated on the Il-38SD aircraft. The navy has stipulated that the sonobuoys should be passive directional and should be capable of being operated with the sonobuoy receiver system of Il-38SD stationed at INS Hansa, Goa. The sonobuoy should have a minimum detection range of 6 km and it should be able to operate for minimum 2 hours post deployment. The sonobuoy should have the facility to select depths at which the hydrophones can be deployed with the maximum depth that the hydrophone of the sonobuoy should be able to operate being not less than 300 metres. Satisfactory performance of the sonobuoy will be ascertained and certified by the end user through established trial procedures of the Indian Navy in coordination with the vendor.